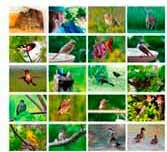 In each phrase, the first note (fee) is always the same. The second note (be) alternates between a whistle and a buzz. A spectrogram, a chart that shows the structure of the sound, below the photo, shows the two types of be notes, the whistled one (first and third songs) and the buzzy one (the middle song). 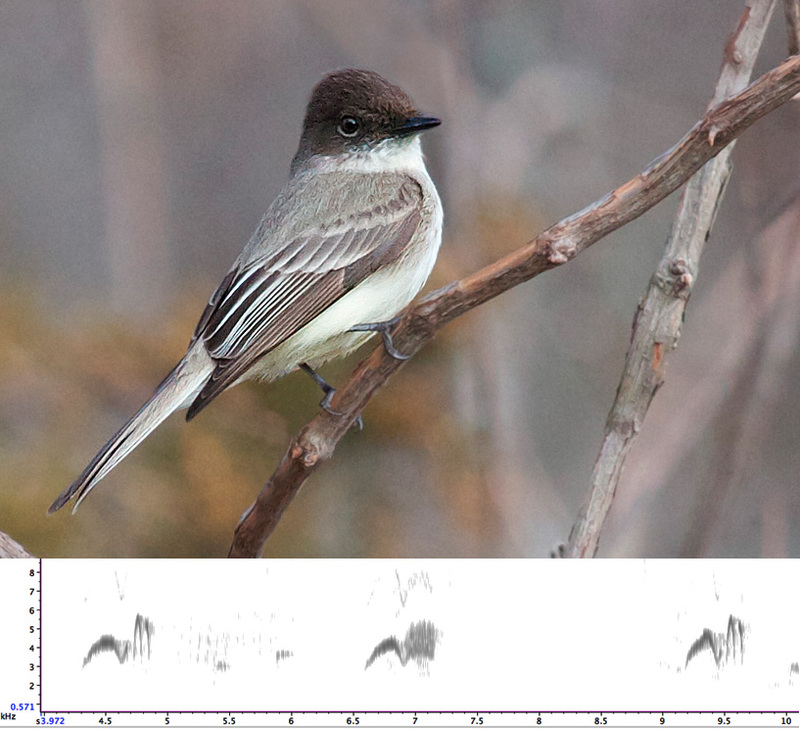 Eastern Phoebe has come back to breed in the Midwest, long before any other flycatchers. It will sing all spring and summer. Fee-bee? Fee-be! 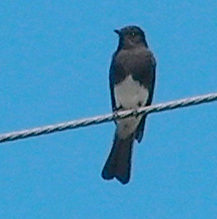 If you are in the western US, you probably wont find Eastern Phoebes, but you may hear a Black Phoebe instead.